Neither. 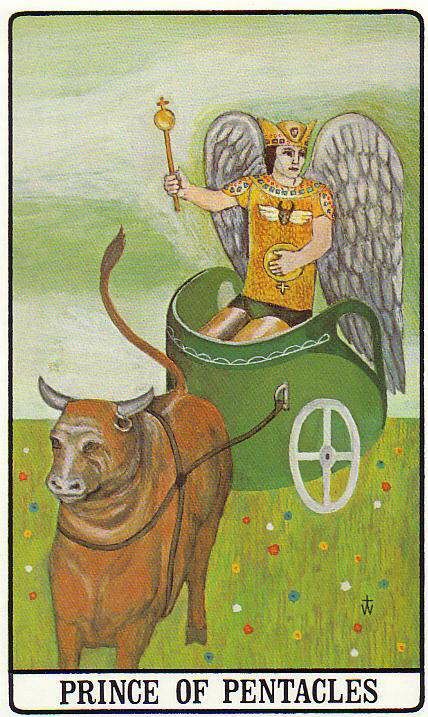 In this case, “Chariot” (Hebrew: “Merkavah”) refers to a type of mysticism, kind of like proto-Kabbalah. In other words, he astrally ascended to heaven in a state of perfected consciousness, whilst his physical body probably just died normally. This is not dissimilar to the Yogic concept of “Mahasamadhi,” which is how great sages end their physical incarnation whilst in a state of perfected meditation. No, we’re nice people really! Freemasons on this planet do not currently recognise any Grand Lodges or Masonic obediences of a non-Earth origin. Hence we are not in Amity with any Extraterrestrial Masons, and if there is any Alien Masonic activity happening on this planet it would be considered “Clandestine”: i.e. if a regular Freemason tried to take part in it, he would be subject to Masonic Disciplinary Proceedings. Furthermore, if an extraterrestrial applied for membership of a regular lodge here on Earth, it would run into problems. The qualifications for membership are to be a free *man* aged twenty-one years or more, who believes in a Supreme Being. Hence there might be arguments over whether the extraterrestrial can properly be said to be a “man” or not. More prosaically: Freemasons probably do know the truth about Extraterrestrials, as many of them (Freemasons that is) are intelligent men who keep up to date with current thinking on astronomy. Freemasonry itself does not have an official opinion on the matter. 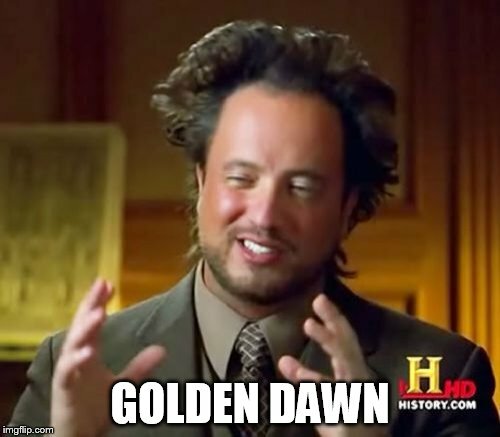 You have the power to contact alien beings and extraterrestrial intelligences, using the Magic of the Golden Dawn! In fact, this is exactly what the original teachings of the Hermetic Order of the Golden Dawn were always leading up to! Seriously: recently I have been investigating the Theoricus Adeptus Minor teaching of the “Tree of Life Projected In A Sphere” – which can be found in Regardie’s The Golden Dawn – and have come to the conclusion that it is no less than a method for astrally projecting ultimately to anywhere in the universe – and all whilst remaining within the GD paradigm. I will avoid giving a full explanation of the entire “Tree of Life Projected In A Sphere” (which I shall hereinafter abbreviate as “TOLPIAS”) teaching in this particular blog-post, save to say that the basic theory behind contacting Aliens using this method is this: first determine, astronomically, where these Aliens actually are, in terms of the star around which their planet orbits. Given that the TOLPIAS scheme involves mapping the constellations to one’s Sphere of Sensation, it should then be possible to work out the position of the Aliens’ homeworld in relation thereto, and which card of the Tarot would correspond to that particular section of the sky. The method I have used in my own particular experiments consists of first, working out my horoscope in terms of the “Mathers / Sidereal” system; secondly, during meditation, build-up the TOLPIAS in imagination with myself in the midst thereof, with the degree of my ascendant as determined under the “Mathers / Sidereal” system facing due east. 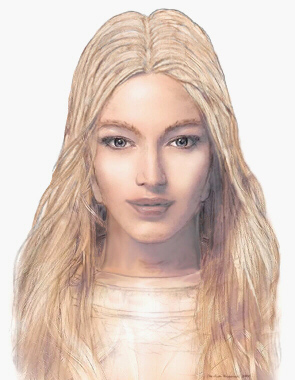 The complete visualisation of TOLPIAS would involve not only imagining the positions of the various Sephiroth, but invoking divine and angelic names as appropriate for each one. This being done, I visualise where the various Tarot cards lie, and then imagine drawing down energy into my Sphere of Sensation by the four-fold Dragon formulae. At this point I am ready to commence Projecting, which I first do to the appropriate Tarot card. There I establish contact with a spirit-guide – all so far using conventional GD methodology. I then ask the spirit-guide to accompany me to the alien star-system, and to their planet, and have a good old-explore, trying to make contact with local inhabitants, and so-forth. To end the session I travel back with my spirit-guide, and take my leave of him or her in the usual manner. So, for example, to go visit the Pleiadians on their homeworld one would first project to the “Prince of Pentacles” – one could even imagine that the Prince of Pentacles is taking you in his chariot through space. The actual utility of attempting to do so I leave to others to determine for themselves. On my first ever attempt to make telepathic contact with aliens, I did not necessarily receive spiritual teachings of cosmic importance, but I did succeed in channelling enough plot-lines for an entire series of a certain popular TV sci-fi show (the producers have yet to get back to me). More seriously I have found that certain spiritual currents do interact with the Earth from outer space – as it were – and that this method is way of interacting with them not just in abstracto but also in the way they manifest upon this planet. The positions given in the “Mathers / Sidereal” column in the tables below are worked out in the following manner: the difference in Right Ascension between the position of the star in question, and that of Regulus (Alpha-Leonis) is taken, and converted into Degrees of Longitude. By then assuming Regulus to be 0º of Leo, one can determine the position of the star in question in relation thereto. This results in a peculiar system of “Sidereal Astrology,” but unlike Sidereal systems which are popular among astrologers today. The primary difference being that in the Fagan-Bradley method, Regulus is assumed to be 5º of Leo – the Lahiri method is almost the same at 5º 53′. If this were so, then the “Age of Aquarius” will occur in approximately 400 years time. However: if MacGregor Mathers’ attribution of Regulus to 0º of Leo is accepted, then the Age of Aquarius is actually beginning (almost literally) now. Mathers’ line of reasoning was that all measurements should be taken from Regulus given that it was the brightest star on the Ecliptic: Regulus also corresponds to one of the four points associated with Tiphereth. All systems of Sidereal Astrology are attempts to make the astrological zodiac more closely approximate the actual heavens than Tropical Astrology, but they are still approximations only. This is because astrology assumes the zodiac is divided into twelve segments of equal size (i.e. 30º each), whereas in reality the size of each constellation varies greatly. Hence the reason why the Pleiades (for example), although astronomically in the constellation of Taurus, nevertheless falls in the astrological sign of Aries in Mathers’ system of astrology (it would be 29.75º of Aries under Fagan/Bradley). Given the “Mathers / Sidereal” longitude of the star in question, one can then work out the precise Tarot card by noting its declination in relation to the path of the ecliptic. A decent Star-Map helps greatly here, and by “decent” I mean “more accurate than those given in The Golden Dawn! Two cases in point are the positions of Wolf 1061 and Trappist 1 (see below). These lie so close to the Ecliptic that it is necessary to pin-point exactly where these stars lie in their respective constellations, as it is the difference between the “Prince of Cups” and “Death” on the one hand, and the “Prince of Swords” and “The Star” on the other. Stars which have been speculated to be orbited by at least one Earth-like planet capable of sustaining life – as found by either the Transit or Radial Velocity methods of detection. The first set of planets with which I shall deal derive from yer actual Astronomy. At the time of writing (November 2017) there have been 13 exo-planets out of 3,693 so-far detected which Astronomers believe are capable of sustaining life, including three Earth-like planets in the Trappist-1 system alone. The fact that only a small number of constellations appear to have such planets is probably because only a small portion of the Universe has been investigated. Hence if we are going to introduce at least a smidgeon of rationality into this whole business of contacting aliens, it would make sense to start here. Star systems containing Alien Races – as found by “channelling” and other sources. I now turn to Alien races whose existence has been asserted not by Astronomers or Astrobiologists, but by New Age practitioners and ex-Coventry City footballers. I personally have mixed feelings – some of these alleged alien contacts have inspired the best spiritual teachings of modern times (e.g. the Pleiadians), whilst others have done the most to bring the genre into disrepute – more SewAge than NewAge, as it were. I have a particular bugbear about the significance of Thuban (Alpha Draconis) – it is important in the spiritual history of this planet in more ways than one, but not in the manner alleged by David Icke. An unnamed star which was “in the direction of Orion” but has now shifted to a higher dimension – home of the Essassani 500 Orion Too vague to get a precise fix! The Hierophant (or possibly “The Lovers” due to the vagueness of the directions). Not included – details about the Yahyel or Shalanaya, as apparently they either don’t want to give away the location of their home planet, or they don’t have one, roaming the galaxy in large ships as they do. 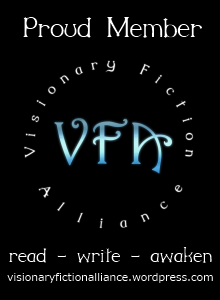 Aliens that only exist in fiction … OR DO THEY??? Finally by way of light relief, a selection of aliens and their homeworlds which, unlike the alien races noted in the section above, are not claimed to be anything other than fiction. Not included: any planets from the Star Wars films, given that their location is only specified as a galaxy far, far away; nor from Doctor Who, given that in fifty-four years its writers have consistently avoided troubling themselves with astronomy. Do you think the world is ready for alien disclosure? My answer to Do you think the world is ready for alien disclosure? Firstly, from a military point of view, the armed forces of this planet are under orders to treat any unidentified incursion into their nation’s airspace as a potentially hostile action. Secondly, from a psychological point of view, any attempt to present evidence that beings of a non-Earth origin are in contact with this planet would run up against widescale Cognitive Dissonance, i.e. the vast majority of the population would either dismiss it as fake, or not accept it as literally true except insofar as they could fit it into their unconscious prejudices about how they view the Universe. 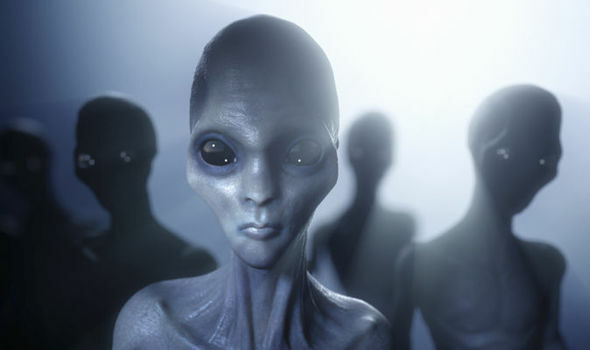 Our extraterrestrial brethren will not openly reveal themselves willingly until they have made contact in a non-threatening manner with a large number of sympathetically minded humans. Any human agency that tries to do forcibly disclose their existence before then does not have their best interests at heart! The “Special People” in some way feel apart from or separate to the rest of humanity. What makes “Special People” special is hotly debated in the New Age community (and takes up a lot of shelf-space in the Mind Body Wallet section of New Age Bookshops). The more I seem to read up on the subject however, the more I notice one thing in common with all of them: they are all attempts to apotheosize the social inept and awkward, and sometimes in extreme cases the downright sociopathic. It strikes me that if Karma has propelled one’s soul to a specific location, then the Karmic Lesson is to learn how to integrate with the destination, not remain aloof from it. Moreover: the “Special People” phenomenon overly emphasises the role of people born in the past forty years or so. The danger here being that this is rather unfair on elders who, after all have traditionally been society’s teachers. Hell: most of today’s wisdom originated with people born hundreds or even thousands of years ago, so where they figure into the “Special People” phenomenon is anybody’s guess. We are all “old souls,” the only difference being that one person may appreciate their past-life experience to a greater extent than another. We are also all “Star-seeds” – the star in question being our own Sun. If we could look within ourselves and find out what is the best of humanity, then that is what we would be taking out to the cosmos – instead of expecting the flow of information to be one way, from cosmos to Earth. Not too sure about walk-ins or indigo-people, although the latter does remind of the Purple Joke. In the ongoing debate about the existence of extra-terrestrial life, by far the most reliable barometer of veracity has weighed in on the side of our Alien Brethren. No, not scientists – I’m talking about William Hill, the bookmakers! In a story in today’s Daily Telegraph, it is reported that they are slashing the odds that our Cosmic Companions exist because it transpires that Winston Churchill covered up a UFO incident in World War Two. Actually, given the Daily Telegraph’s reputation for up-to-the-minute reportage, it is probably the same UFO incident that we already know he covered up, but reported for a second time. The odds of the British Government admitting intelligent alien life existing by the end of the year are now 80-1, down from 100-1. These are actually surprisingly good – they are certainly better than playing the National Lottery. News today that our extraterrestrial friends have been paying us a visit again, this time taking in China. One of the greatest ironies is that this has been covered widely on Google and YouTube – two sites which are censored by the Chinese Government! Hence: most of the Chinese people don’t actually know that this UFO has been hovering over their country! Unfortunately though I do not hold out much hope that this is an example of extraterrestrial technology. The airport where it was sighted – Zheijang – is 29º North of the equator: as I have said on previous occasions, only UFO sightings on or near the equator itself should be seriously investigated as possible alien craft. News today of a Policeman who has compiled an online database of UFO sightings. There are two interesting things about this. Firstly – the reports are all from policemen, and hence the kind of people one would hope would be level-headed about this sort of thing. Secondly, the copper who has compiled them has managed to act like a quality-filter and brought the really interesting stories to the fore – for example, by finding several more CE2s of which I was not previously aware. This incidentally was one of my gripes against the material released by the Ministry of Defence: this and the fact that although they released all in bulk, they made no attempt to flag up any interesting bits. What puzzles me most, though, is why UFOs – if they are indeed extraterrestrial craft – should be seen above the British Isles at all. Human rocket-scientists have found that the best place from which to launch a spaceship is as close to the Equator as possible – because then such a craft can make best use of the Earth’s rotation. This, incidentally, is why the Apollo landings took place in the Sea of Tranquility: because it lies on the Moon’s equator, this would assist the astronauts in launching from the Moon and returning to Earth. Hence, if our extraterrestrial brethren are visiting us, one would assume they know at least as much about celestial mechanics as we do, and hence would concentrate their visits to Earth along our own Equator, the easier to make a quick getaway when it is time to leave. By rights therefore, the further away from the Equatorial regions a UFO is sighted, the less likely it is to be an extraterrestrial visitor. This makes me think of a top-tip for speculating on real-estate on the Moon! We can assume that if anyone is going to make a go of settling on the Moon, one of the first things that will happen is that a Spaceport will be built, i.e. a permanent take-off / landing facility. This we can guess will be situated on the Luna Equator. It stands to reason therefore that the most valuable Luna real-estate will be that which is closest to the putative spaceport, i.e. nearest the Luna Equator, while the least valuable will be the most far away. Anyway, enough of my ramblings. The website of the policeman who has compiled all the UFO reports is here.